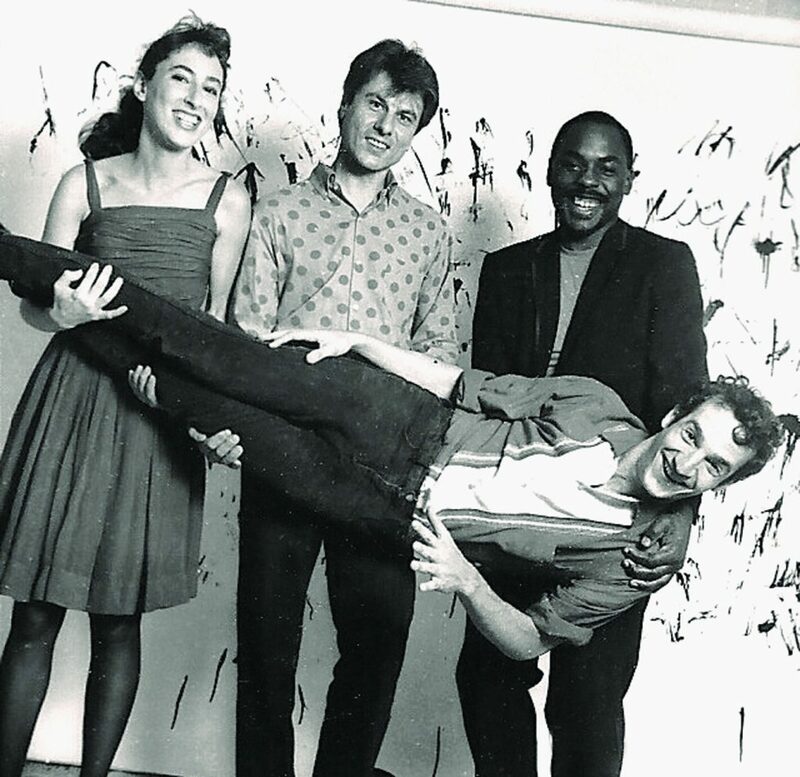 I had the chance to meet Deena Shoshkes and her partner Jon Fried during a taping of cable access show Videowave around the time this article was written. I never saw them play live, but I always liked their quirky music and videos. They are definitely a New Jersey lynchpin group from the 1980s that do not get as much play or attention for which they deserve. Deena Shoshkes’ voice is the sound of a smile: it’s light, warm, clear and destined to help the Cucumbers carve their niche in pop music history. With two albums to their credit, Fresh Cucumbers and Who Betrays Me… and Happier Songs, on Fake Doom Records, the Cucumbers are already collecting compliments from the critics on the college and underground circuit throughout the country [By the end, they would have 5 LPs of original music – RBF, 2018]. The video for their first single, “My Boyfriend,” a colorful animation, has become a staple on many cable and marathon music video programs. And their latest visual effect, a cover of “All Shook Up,” made its way onto M-TV last Summer. Their music is cute, clever and very catchy. The songs are written by Deena (guitar and vocals) and Jon Fried (guitar). They started writing together in 1980, although they did not officially form a band until ’82. “My Boyfriend” was the first song they’d ever written together. “The words for ‘My Boyfriend’ were just little scribbles (that) I wrote down for myself,” recalls Deena. “I wasn’t trying to express the modern relationship. I didn’t even want Jon to see them, but he found them.” He also found the melody on a tape of one of their many jam sessions that tend to go off in all directions. 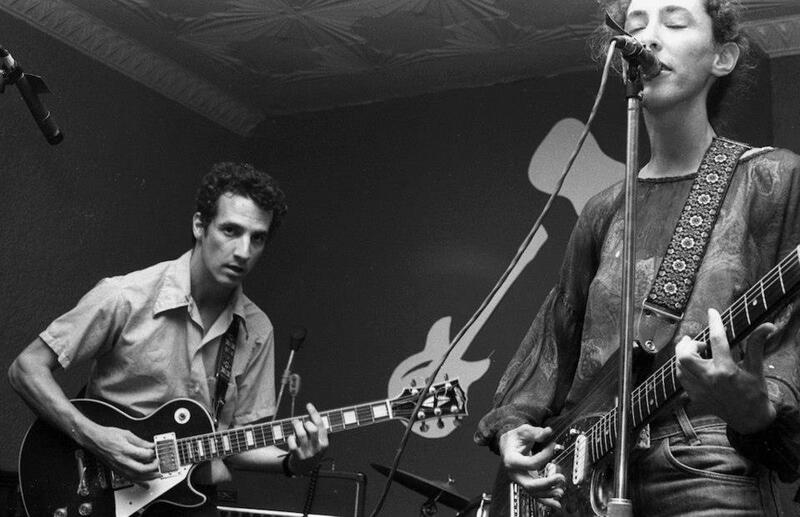 “Jon is really good at wading through all the stuff until he finds the two bars of good music.” Once he finds a chord or melody, he quickly persuades Deena to write the lyrics. She confesses that when she first started writing, she wasn’t always confident about her work. When she wrote “Susie’s Getting Married,” she was convinced that it wasn’t’ up to par and threw the lyrics in the trash. Secretly, Jon retrieved them from the garbage. About a month later, he came up with some chords. He played them for Deena. She was stumped for words, so Jon promptly handed her the crumpled lyrics. Now, she sometimes worries that the band isn’t taken seriously. It’s not that they’ve taken much flack for being pop; in fact, the reviews are more than favorable. It’s just that they’re so wholesome and unpretentious. Deena is as sweet as she sounds. The type of girl who could easily steal your boyfriend, but deep in your heart you know she won’t. She exudes that rare strain of confidence that is devoid of conceit. “I seem to get a lot of attention in the articles that have been written about us, but inside the band I’m not the most important person. We’ve played with a couple of different people. The people we’re playing with now (Yuergen Renner, drums; John Williams, bass) have been with us for a while. As time goes by they have more and more involvement in the arranging and songwriting. I write all the songs with Jon, but the other guys have written melodies. Their input is more involved with rhythm. “Yuergen has created a couple of drum beats that we’ve written music over. And John Williams is really good at arranging songs and helping out with the dynamics, and improving the part that everyone’s playing. “Collaboration is really the most wonderful thing about the group, because a lot of times, you see a band and it’s one person fronting the band. They write the songs; they sing them. That can be very good if the person is interesting. But somehow, the interplay of more than one ego being involved makes it more interesting. Jon used to jam with two friends. One would call out a song title. The other would start singing lyrics and John would provide the music. 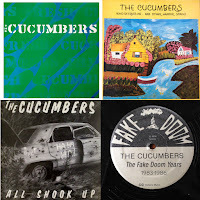 One night they came up with a silly song called “The Cucumbers.” Deena used to love to sing it because she thought it was funny. And when she and Jon started to play together they adopted the name. They never intended to name a band after a song, but it just stuck with them. It conjures up artistic expectations that they actually deliver. They’ve never been particularly concerned with image or marketing. “We’re hopeless with that,” Deena laughs. “We’re trying to be sincere. The strength of our music is that it’s personal and that we’re ourselves. This brings it all back! Thanks so much!